Activision and Cartoon Network Enterprises have today unveiled plans that they are to release Generator Rex: Agent of Providence later this year. 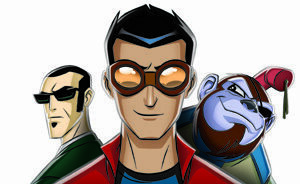 Based on Cartoon Network’s top-rated animated series, Generator Rex: Agent of Providence allows players to take control of Rex, a teenager who has harnessed nanites within his body to become the ultimate weapon. Within the game, Rex finds himself in a race against time to prevent Van Kleiss and his minions from gaining unprecedented powers that could destroy the earth! Generator Rex: Agent of Providence will release for Nintendo DS, Nintendo 3DS and Wii, alongside PlayStation 3 and Xbox 360 version this October.